Our random butterfly this week is the moderately rare Green Oakblue (Arhopala eumolphus maxwelli). The species is so named because of the iridescent green upperside of the males. It is one of several species of Arhopalas with green uppersides in Singapore and Malaysia. 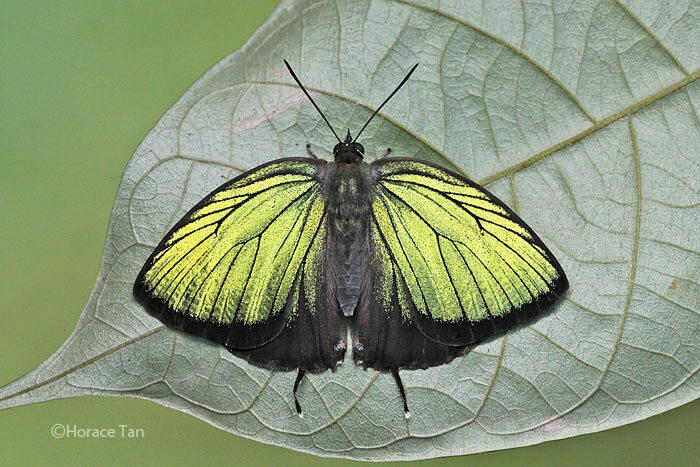 This pristine male was shot by ButterflyCircle early stages expert, Horace Tan, in the heart of the nature reserves in Singapore. This individual appeared to be sunbathing to dry its wings. Horace explained that it was perched on the underside of a leaf that was exposed to the sun.